Salespeople are often independent, driven and confident. Since a salesperson's job is about convincing people to do things, they'll probably see through any attempt to be manipulated. As a result, salespeople are more difficult to manage than most employees. Difficult, but not impossible. Effective sales management requires a slightly different approach from management in other departments. Try applying the below rules when managing your sales team, and both you and they will be happier. Many basic management techniques are about manipulating employees into cooperating with policies that they don't necessarily like. These management techniques are very similar to sales techniques designed to prod prospects into buying. So most salespeople will see right through manipulation tactics, which means they'll backfire on the hapless manager. Not only will the sales team not do what you want, but they'll also be angry with you for trying to manipulate them. The best approach to sales management, therefore, is to be upfront and honest with the sales team. You may end up doing more arguing with your salespeople, but it's better than the alternative. If you're considering a policy change or a new campaign, get your team together and ask for their input. Then make it clear that you take that input seriously! The best way to do so is by using the team's suggestions, but if that isn't an option, explain exactly why you can't use their ideas. Showing that you respect your sales team is the first step towards getting them to respect you. Don't inform your team about new policies or procedures and leave it at that. When you make a change that affects the sales team – whether it's a different compensation structure or a new order form – explain why you're making the change and why you think the new approach will work better. You can defuse a lot of resentment by showing the sales team what they have to gain by doing things differently. Sales managers are often in a middle management position, with salespeople reporting to them and other managers or executives above them in the corporate structure. 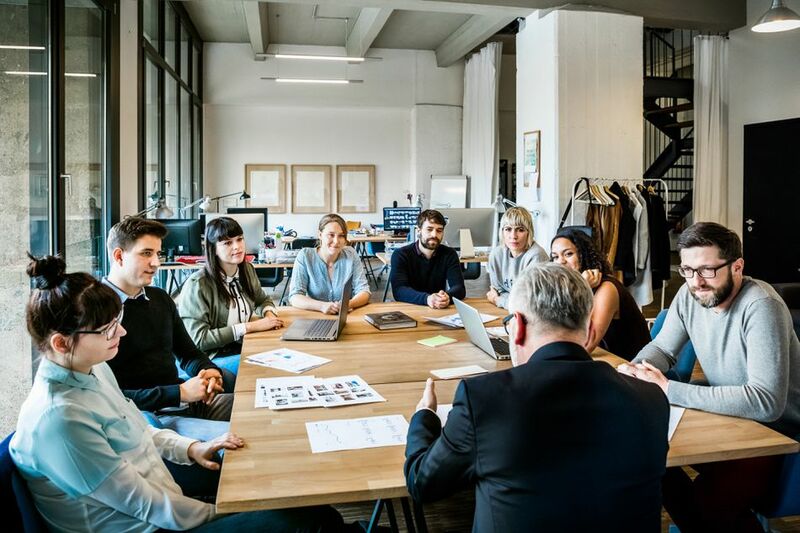 In this situation, higher levels of management often pass down policy changes to the sales manager and expect the manager to report to them as to the performance of the sales team. As the person in the middle, your role is to act as an interpreter for both sides. When the CSO sets a new policy, find out why they've chosen a new approach and pass that information along to the team. And if your team is struggling, work with them to find the cause so that you can explain the problem fairly to the executive side. Given that there are a limited number of hours in the day, many sales managers focus their coaching efforts on the best and worst salespeople on the team and let the ones in the middle do their own thing. Unfortunately, this approach doesn't exactly send a positive message to the neglected salespeople. Set aside time to meet with every member of the sales team regardless of their performance. Salespeople tend to have two major motivators: money and recognition. You may be limited in how much money you can shower on your salespeople, but there's no limit to the recognition you can provide. If a salesperson is performing well, praise them both privately and in front of the team. Any time a salesperson's performance improves markedly – even if that salesperson is not doing much better than the rest of the team – make a point of showing him/her that you noticed that improvement. A little positive feedback can do wonders to boost your team's morale and get them performing at an even higher level.